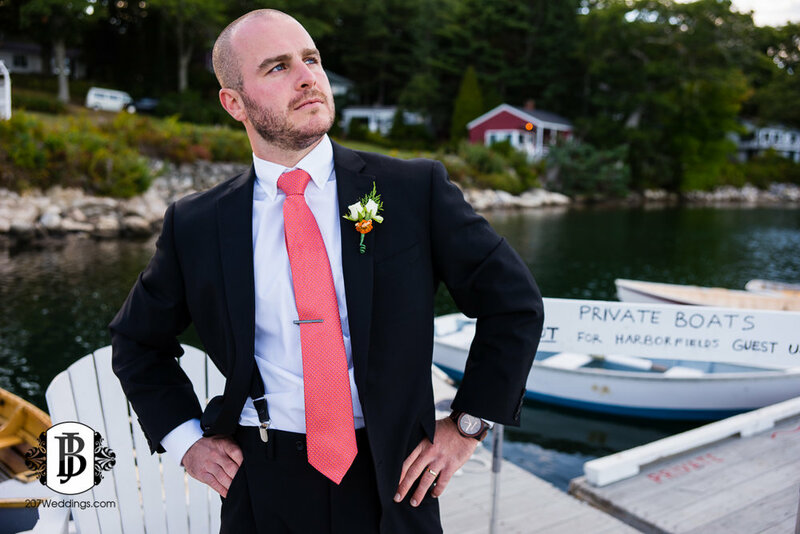 I had mentioned previously that I hadn't had the opportunity to visit the Boothbay Harbor, Maine area yet, and Kyle and Emily's wedding was my chance. As my assistant and I took the trip, there were a lot of "ooo's and ahhh's" as the scenery came into view. 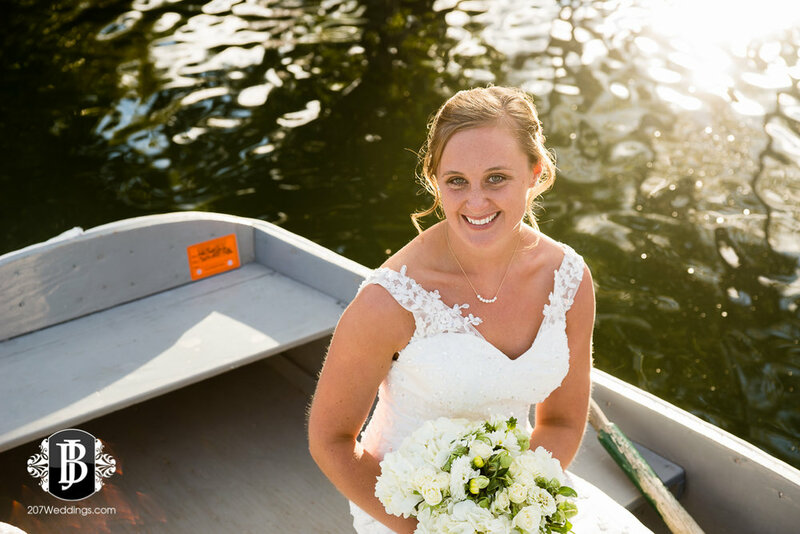 The road lined by the ever gorgeous Maine forest gave way to glistening waters crossed with bridges, wound through adorable residential areas worthy of a Thomas Kinkade painting, and found its way through bustling small town main street. Then soon after came the breathtaking views of the harbor, dotted with pine-studded islands. I had to slow down to take in the views before me, much to the chagrin of the person behind me at the moment. I couldn't help myself. It was absolutely gorgeous. Then nestled into this scene were the Cottages at Harborfields, right near the water. It was easy to find the cottage the bride and her girls were in, and it was so cute and inviting as it peaked out from behind the tall pines. The cabin was situated right directly overlooking the water for the sweeping views, and my eyes couldn't get enough. 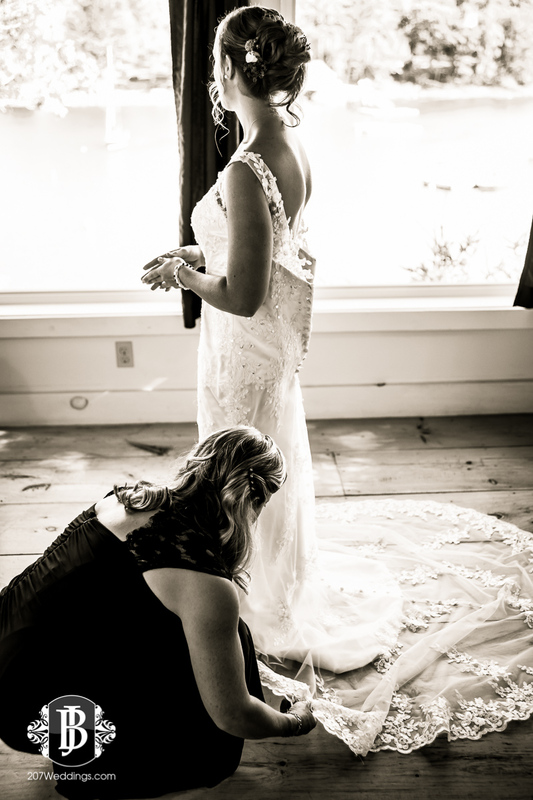 I'll always remember Emily & her mother, Ann, hugging and crying together as Ann helped zip Emily into her beautiful dress. 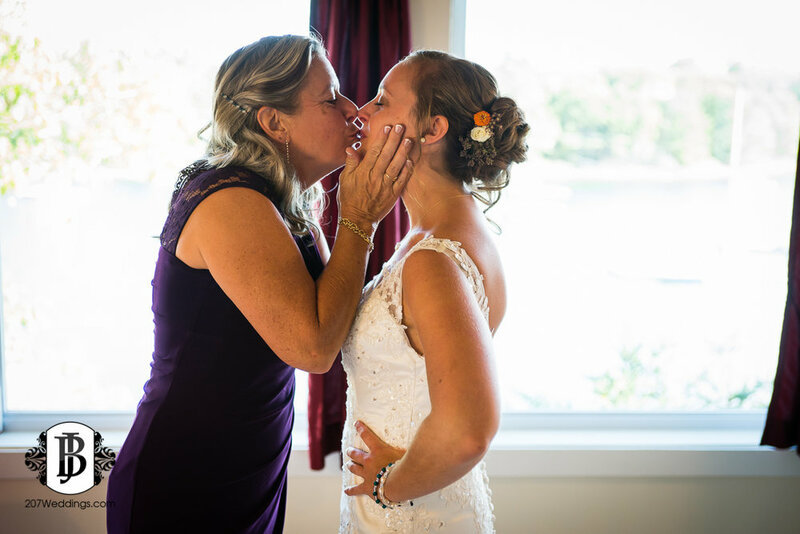 The bittersweet moment of a baby girl and her mama suddenly entering the moment that had been anticipated and imagined for years - it absolutely tugged at my heart strings and it got me misty-eyed as I left the room. After Emily was finished preparing for the big day, I gathered the girls to the large deck overlooking the water for some photos and laughs (and cheeseballs, of course!) before the ceremony was to begin. What a great way to start a wedding! 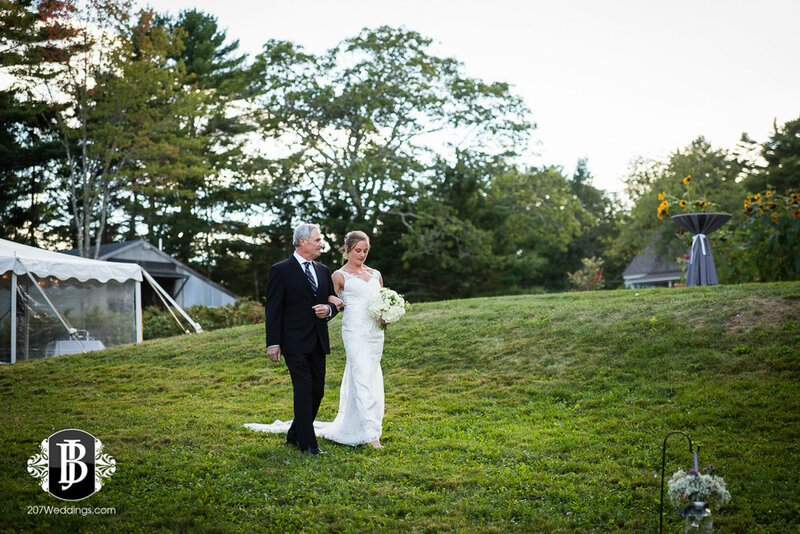 Next we all made our way to the ceremony on the large lawn, which also overlooks the stretch of water, and it was all cinched to perfection with the stunning hand-crafted arbor. 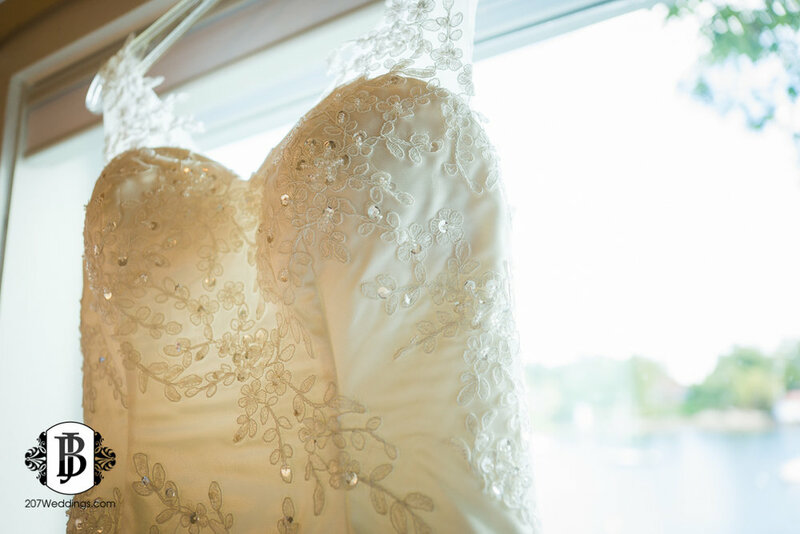 The ceremony was full of smiles, tears, laughter, and sunshine. Absolutely wonderful. 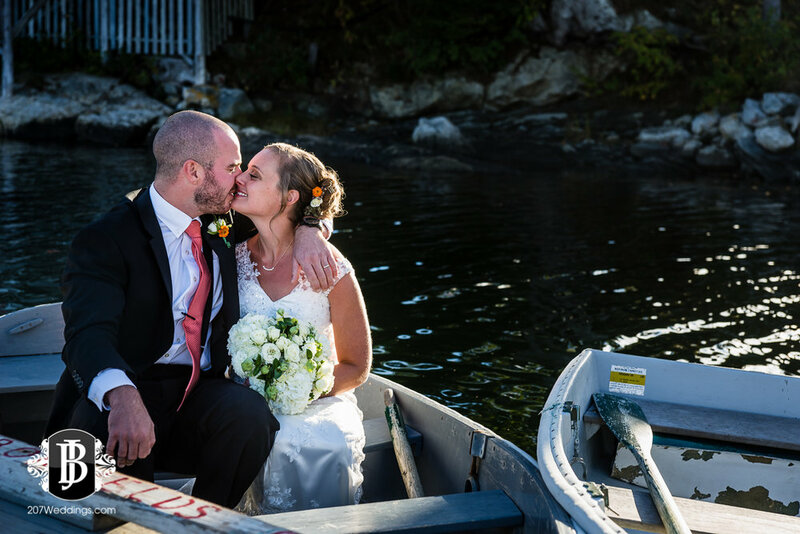 You could feel the love and excitement of these two as they pledged their love to one another, and sealed it with the most romantic kiss. A quick recession down the aisle led the party and guests easily back to the tented reception for cocktails and delicious appetizers. 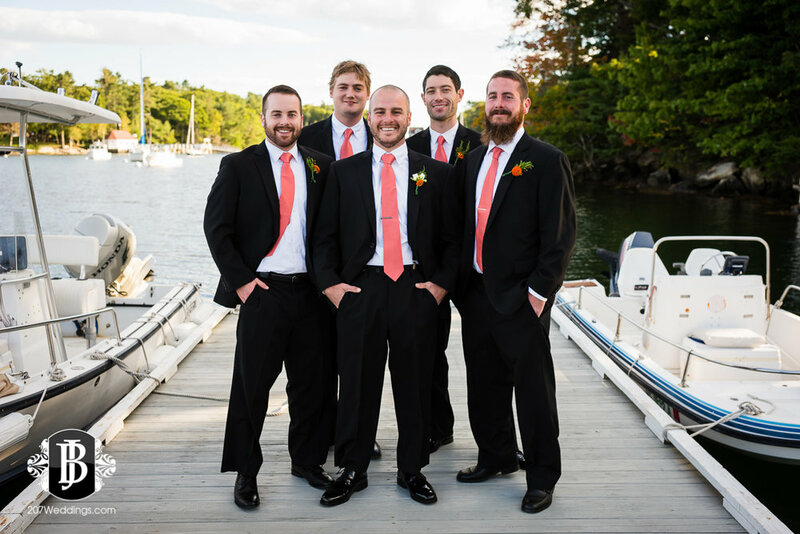 After some easy-peasy family photos, I stole the bridal party away to the dock for some silly shenanigans and pictures, and then Emily & Kyle for their portraits. The sun had just started to come down behind the trees so the light was soft, and gave a lovely glow to the couple as I captured them in their natural state of excitement and love. I couldn't keep them apart for more than a few moments! It's always a special time for a couple during the day to connect, reflect and revel in the happenings. Our time together flew by, and we were off to the tent for dinner and the usual happenings before the party got started. And when it did, man, these folks sure know how to have a good time! 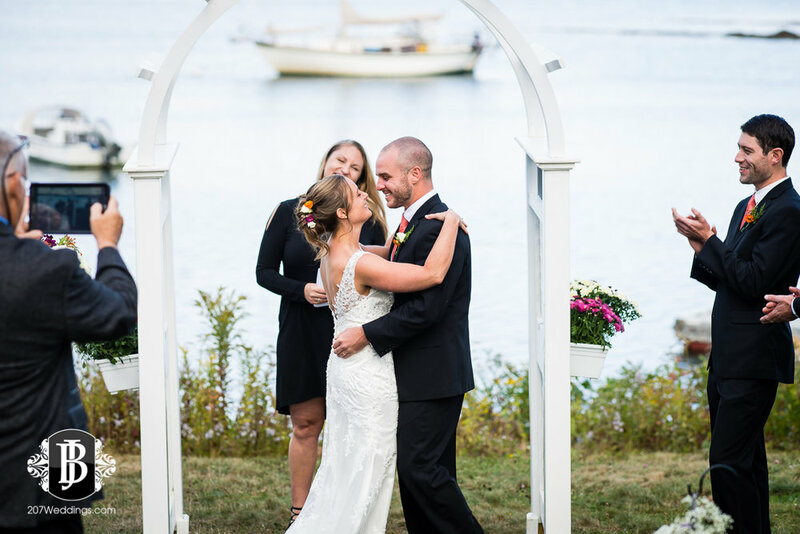 All in all, Emily & Kyle's wedding here in Boothbay Harbor was so joyous, so energized, and so full of love and affection, topped off with it being in an absolutely stunning backdrop, with amazing food and drink - what an incredible success of a day all around! I'm sure Emily & Kyle's family & friends will fondly look back their celebration for years to come, and I am so thankful to have been a part of it, and to help them remember it. 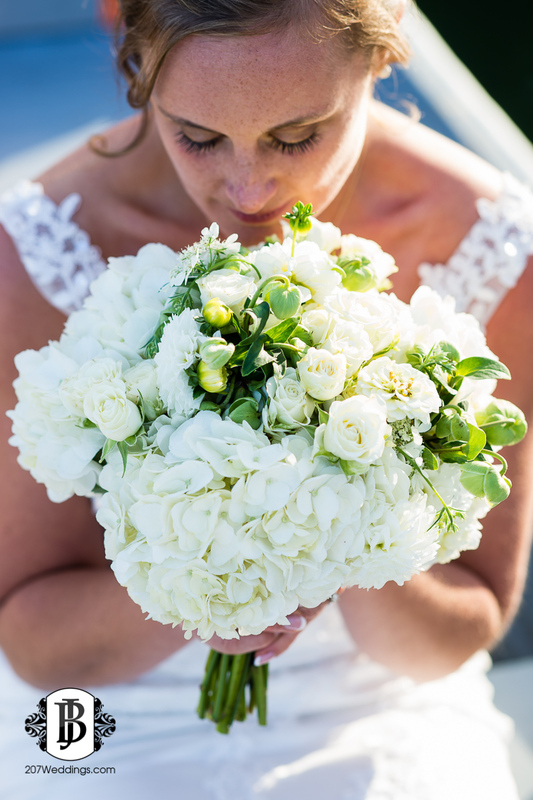 Please take moment to enjoy the custom slideshow I created from some of the images of their day, and their gallery below!